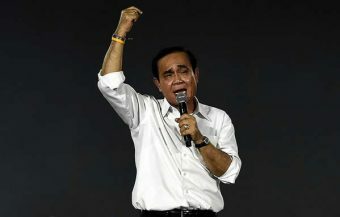 The new arrests following a spate of breakthroughs and a constant streams of arrests that have been ongoing for the last ten months in Thailand. The scale of the problem is highlighted by the large sums of money that the criminals have stolen and chatted from unsuspecting and often vulnerable Thai women seeking love online. 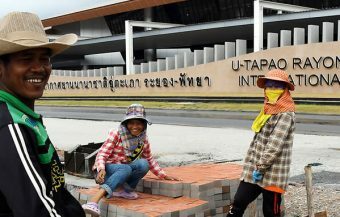 The irony is that it is increasingly obvious that these crimes are being committed with the assistance of other Thai women working with the rackets for money. 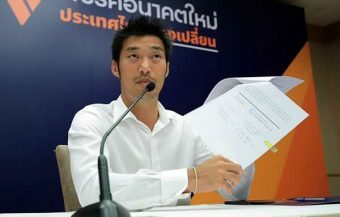 Now Thai police have announced an investigation into all Nigerians living in Thailand who may have criminal links. Latest arrests of romance scam gang members involved 6 Nigerian nationals and 4 Thai accomplices. The scale of the romance scam networks targeting Thailand and the involvement of Nigerian nationals in international gangs has led police to look at a number of Nigerians in Thailand while emphasising that only bad individuals involved with crime have anything to worry about. 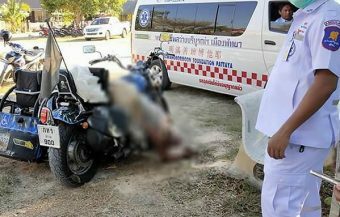 A member of Thailand’s Human Rights Commission has urged caution. Thai police have revealed that the latest rackets uncovered resulted in the loss of 2 million baht by Thai women across the country. The Thai police held a very informative press conference and detailed the extent and sophistication of these criminal activities. It appears that these criminal conspiracies are so lucrative that there and more African gangsters involved. A complicating factor for Thai police is that the criminal activity originates online and involves actors from outside Thailand liaising with African nationals in the country. Then move by Thain police to iinvestigate all Nigerians in Thailand has drawn the attention of a member of Thailand’s National Human Rights Commission who indicated that indiscriminate investigation of any group of people may be illegal. 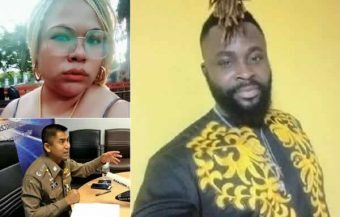 ‘They should not randomly investigate people just because they’re Nigerians, because it will become a discrimination against their race,’ Mr Angkhana Neelaphaijit was reported by Thailand’s KhaoSodEnglish.com, an English langauge Thai news website. He also warned that any arrest made under such an investigation would be open to challenge legally. 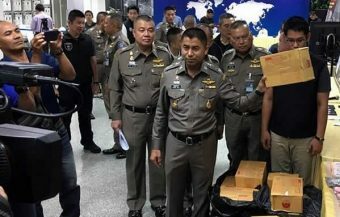 The annoucement by the Thai police is not surprising given the scale of criminality that has been exposed involving Nigerian nationals and their dominance of the romance scamming epidemic which has swept the country. 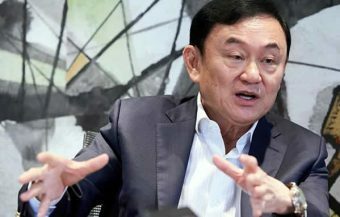 The Chief of the Thai Tourist police however did emphasise that the Thai police were very conscious of the fact that not all Nigerians in Thailand were involved in criminality. ‘This doesn’t mean all Nigerians are bad people, he said. ‘Our crackdown so far is to separate the bad guys from the good ones.’ It is thought that there are currently 1,400 Nigerians resident in Thailand. 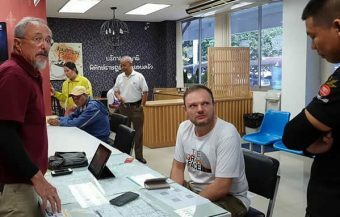 A Nigerian national named by Thai police as Martins Junior Ejike Ajejo, 39 years old, was detained in a police raid and charged with participation in an online romance scam operation, a tourist police spokesman said at press conference held on June 29th. The story is not uncommon and similar to ongoing criminal activities that have caused both financial loss and personal devastation to so many trusting Thai women simply seeking love and friendship online. 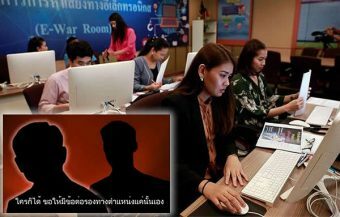 This has led to seminars and efforts to inform Thai women nationwide of the danger posed by online scammers. 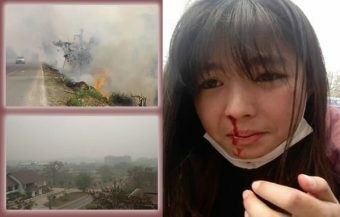 The Nigerian man had accomplices named as Prapinmas Nasutthi, a 30 year old Thai woman, and her 36-year-old Nigerian husband, Gaius Eriamiate. They were arrested on June 21 this year when they were observed withdrawing money cheated out of their latest victim from a Thai ATM. 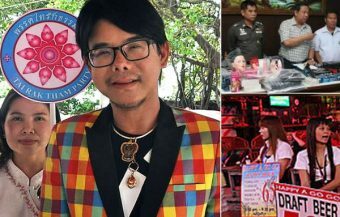 It is not clear how much money the trio have made from their illicit business but amounts transferred range from 100,000 baht up to 1,000,000 baht. One Nigerian arrested recently in Rayong had up to 8,000,000 baht in his Thai bank account. A separate Nigerian romance scam gang busted by Thai police had swindled 10 million baht out of 30 victims during the past five years. 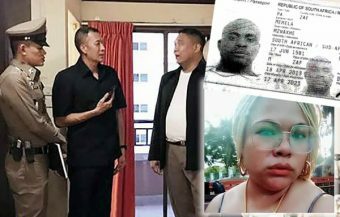 A lead from a Thai woman who was cheated out of 130,000 baht back in 2013 led the police, through detective work, to capture Ifeanyi George Okoronkwo, also known as OJ, who was believed to be the mastermind behind the gang, according to Pol Maj Gen Siripong Timula, chief of Technology Crime Suppression Division. Mr. Okoronkwo used the same scamming tactic, posing as a rich Western man in Facebook and asking his ‘love interests’ to send him money to receive expensive presents. 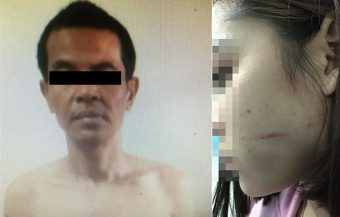 The police also arrested two accomplices, a Thai woman named Chattraporn Kuthaisong and another Nigerian man who were responsible for withdrawing the money from the bank account after the gang’s victims wired money into it. Ms. Juthaisong claimed that she was hired by Mr. Okoronkwo to simply open the bank account and transfer the money to him. 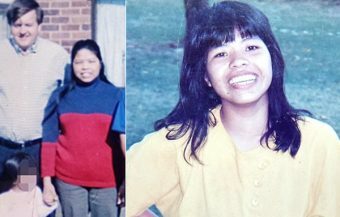 There has been some evidence of such deception bi African fraudsters on other Thai women including one case where a Thai woman’s identity was stolen. 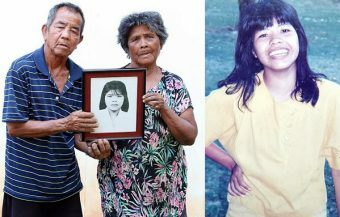 She was lucky enough to be fully exonerated by Thai police at a later stage. Sometimes but not always, the romance scam victims have a slight chance of getting their money back. This is critical as many Thai women who are duped feel both embarrassed to admit the failure of judgment and secondly feel that reporting the incident is futile. In fact, it is vital to report any such activity to the Thai police as their immediate action can result in the return of some if not all the money as well as disrupting future thefts and protecting future victims. 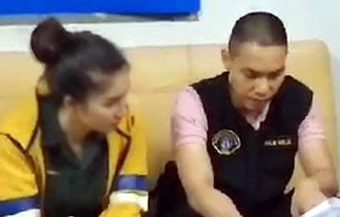 Two Ugandan men and a Thai woman have been recently arrested on Koh Samui for running online romance scams that allegedly cheated 800,000 bath out of four Thai women. The suspects are Rogers Kyeyune, 31 years old, and Emmanuel Kasoma, 37 years old, both of whom are from Uganda, and Wilaiwan Phetthong, their 24-year-old Thai accomplice. In addition to detaining the trio, the police also seized bank account records, ATM cards and mobile phones. 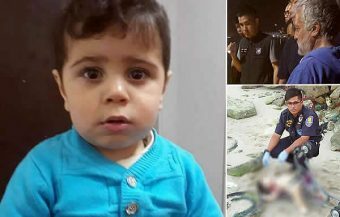 All the information gelajed from the bust was then sent to Technology Crime Suppression Division of the Thai police for further inspection. 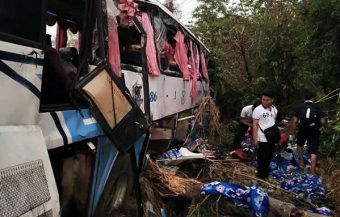 The division spokesman said that the division would work with banks and other government agencies to return the confiscated money to the victims. Last May, Ositadima Ibeh, 28 years old, and Chinedu Calistus Ndubuisi, 30 years old, were arrested by Pattaya police on charges of running online romance scams. Both were Nigerians who had resided in Thailand for some time. They pleaded ignorance and said that they were hired by another Nigerian to withdraw the money and then transfer it to his bank account in exchange for a 5% commission. By the time that the two men were nabbed, the shadowy figure at the centre of the racket had a bank balance of more than one million baht.